Founded in 1998, Laser Express re-manufacturers and recycles printer equipment, parts and accessories. 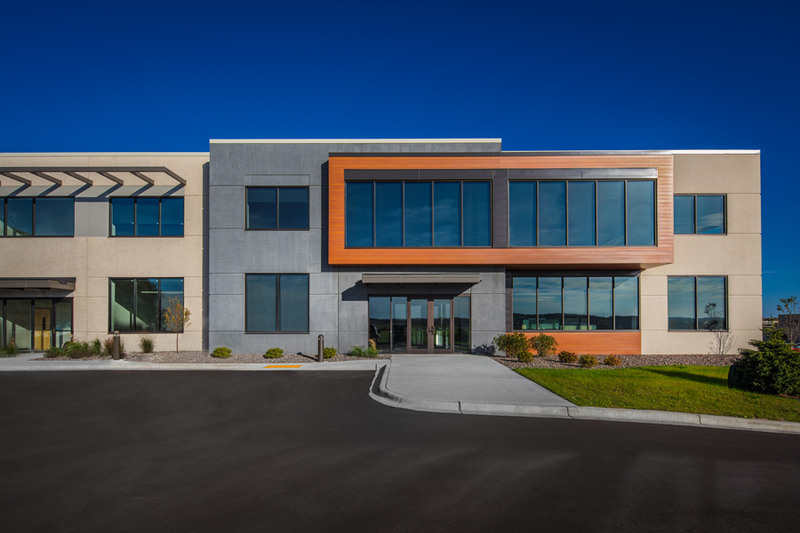 The new 60,000 square foot facility in Middleton consolidates the office, manufacturing, and warehouse spaces into one building. Tilt-up concrete construction was selected to house the manufacturing and warehouse. Large clerestory windows and skylights provide daylighting to the warehouse and manufacturing spaces, as well as the office. 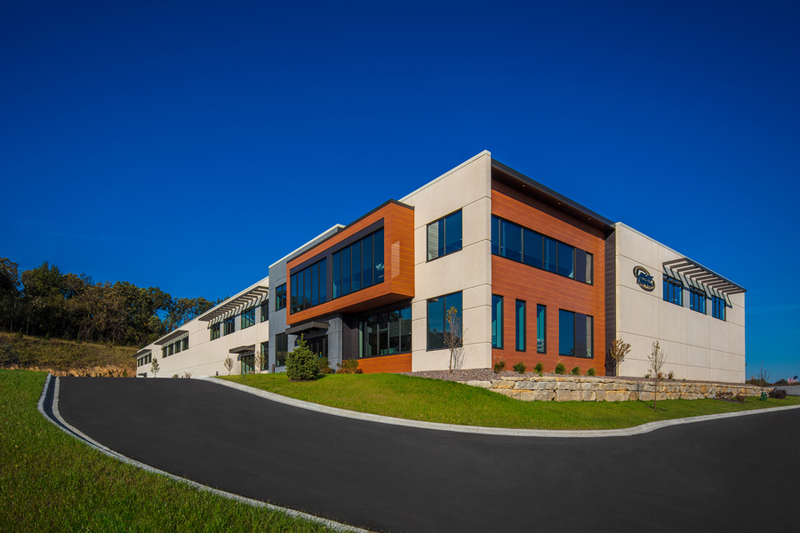 The approach to the building is accented by a 2 story open office with approximately 5,000 square feet on each floor. The office is accentuated by the use of longboard siding, metal panel and charcoal concrete panel juxtaposed to the neutral tilt-up construction of the remainder of the building. 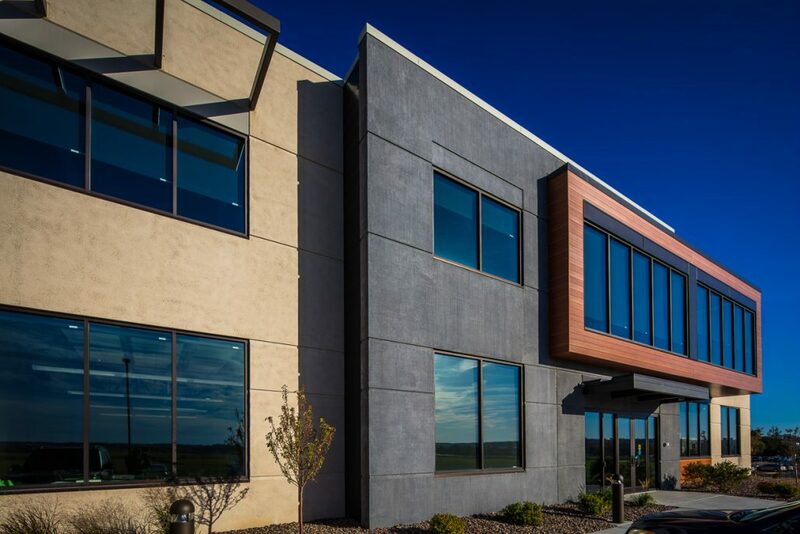 The office design takes advantage of its surrounding context as a large second story protrusion looks out to the Middleton Municipal Airport allowing for clear viewing of aircraft landings and takeoffs. An open staircase and a large skylight connects the office staff and various departments. A large breakroom space allows for an overlapping space between the office and manufacturing. Large shipments are handled at the four loading docks in the back of the building.